All information, documents, products and services, trademarks, logos, graphics, and images ("Materials") provided on this site are copyrighted or trademarked and are the property of Samsung Group, Samsung Electronics and it's listed subsidiaries. Any unauthorized use of any material contained on the site may violate copyright laws, trademark laws, the laws of privacy and communications statutes. Both Solicited and Unsolicited Submissions (collectively “Submissions”) will be treated as non-confidential and non-proprietary in each instance. For purposes of this Paragraph, all Community Content shall be deemed included in the definition of Submissions. None of the Submissions shall be subject to any obligation of confidence on the part of Samsung, and Samsung shall not be liable for any use or disclosure of any Submissions. Any Submission may be used by Samsung without restriction for any purpose whatsoever, including, without limitation, reproduction, disclosure, transmission, publication, broadcast or posting, and you hereby irrevocably waive, release and give up any claim that any use of such Submission violates any of your rights, including, without limitation, copyrights, trademarks, patents, moral rights, privacy rights, proprietary or other property rights, publicity rights, or right to credit for the material or ideas. Samsung shall have and is irrevocably granted the right, but not the obligation, to reproduce, modify, adapt, publish, broadcast, license, perform, post, sell, translate, incorporate, create derivative works from, distribute and otherwise use the Submission in any and all media, now known or hereafter devised, throughout the universe, in perpetuity, without according you any compensation or credit. 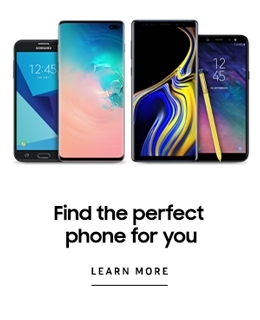 By making a Submission to any Samsung Service or Samsung, you represent that such Submission is original with you and does not violate or infringe upon the rights of any third parties, including, without limitation, any intellectual property rights and rights of publicity and/or privacy. All Submissions to a Samsung Service and/or Samsung shall be the sole property of Samsung and will not be acknowledged or returned. You agree and understand that Samsung is not obligated to use any Submission you make to any Samsung Service or Samsung and you have no right to compel such use. You hereby acknowledge and agree that your relationship with Samsung is not a confidential, fiduciary, or other special relationship, and that your decision to submit any material to Samsung does not place Samsung in a position that is any different from the position held by members of the general public with regard to your Submission. You understand and acknowledge that Samsung has wide access to ideas, stories, designs, and other literary materials, and that new ideas are constantly being submitted to it or being developed by Samsung's own employees. Many ideas or stories may be competitive with, similar or identical to your Submission in theme, idea, plot, format or other respects. You acknowledge and agree that you will not be entitled to any compensation as a result of Samsung's use of any such similar or identical material. Finally, you acknowledge that, with respect to any claim you may have relating to or arising out of a Samsung 's actual or alleged exploitation or use of any material you submit to any Samsung Service and/or Samsung, the damage, if any, thereby caused will not be irreparable or otherwise sufficient to entitle you to injunctive or other equitable relief or to in any way enjoin the production, distribution, exhibition or other exploitation of any production based on or allegedly based on the material, and your rights and remedies in any such event shall be strictly limited to the right to recover damages, if any, in an action at law. You can send your notice to SamsungDMCA@sea.samsung.com. A copy of your DMCA Notification will be sent to the person who uploaded the material addressed in the Notification. Please be advised that under Section 512(f) of the Digital Millennium Copyright Act you may be held liable for damages and attorneys’ fees if you make material misrepresentations in a DMCA Notification. A statement from you under the penalty of perjury, that you have a good faith belief that the material was removed or disabled as a result of a mistake or misidentification of the material to be removed or disabled; and your name, physical address and telephone number, and a statement that you consent to the jurisdiction of a United States District Court for the judicial district in which your physical address is located, or if your physical address is outside of the United States, for any judicial district in which Samsung may be found, and that you will accept service of process from the person who provided notification of allegedly infringing material or an agent of such person. If you submit a DMCA Counter Notification, a copy of the counter notification, including your name and contact information, will be sent to the copyright owner or person who provided the DMCA notification. Please note that sending a DMCA Counter Notification may not result in your content being restored to our services if the copyright owner chooses to file suit against you within ten (10) business days of receiving the counter notification. The service and materials are provided by SAMSUNG on an as is basic, and SAMSUNG expressly disclaims any and all warranties, express or implied, including without limitation warranties of merchantability and fitness for a particular purpose, with respect to any service or materials. To the maximum extent permitted by applicable law, SAMSUNG shall not be liable to you or third-party claiming through you for any damage suffered as a result of your displaying, copying or downloading information or material contained on this site. In no event shall SAMSUNG be liable to you or any third-party for any indirect, extraordinary, exemplary, punitive, special incidental or consequential damages(including loss of data, revenue, profits or other economic advantage) however arising, whether for breach or in tort even if SAMSUNG has previously advised of the possibility of such possible damage. "SAMSUNG", "SAMSUNG.com" and "SAMSUNG DIGITall Everyone's invited" are trademarks of SAMSUNG in the United States or other countries. Unauthorized use or duplication of these marks is strictly prohibited by law.